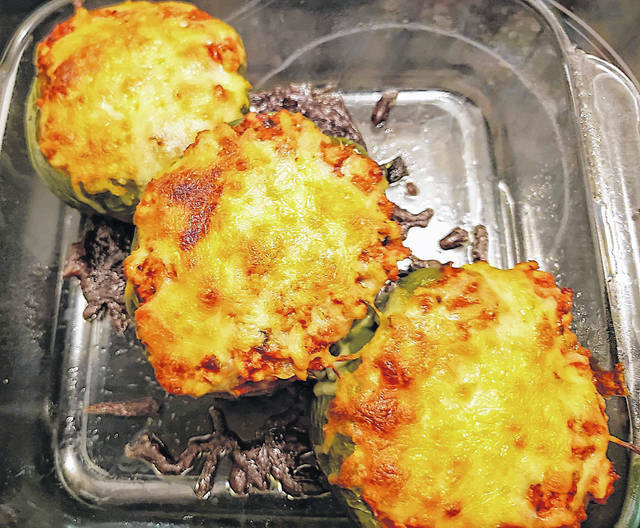 This is how the stuffed peppers in this recipe look when they come out of the oven. Hello! 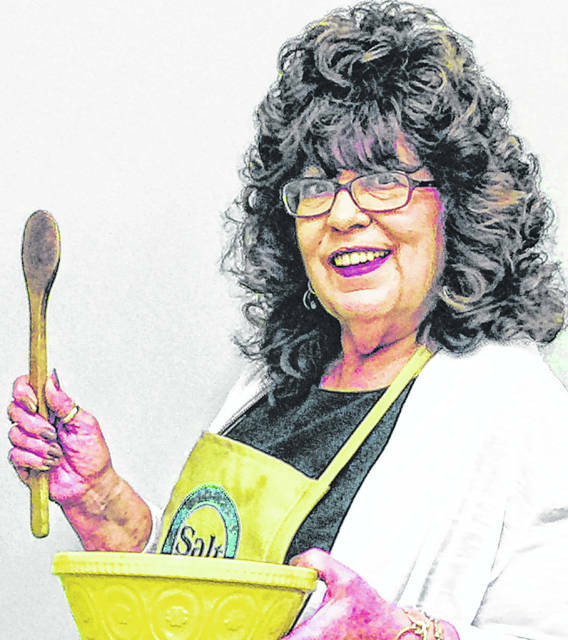 In the Kitchen with Sharon this week is Denise Shorten. Denise is not only a great friend she is a great cook. I know you will enjoy these stuff peppers she has shared with all of us. I know I am going to enjoy them. In a saucepan over medium heat, sauté onions and chopped pepper tops in a little olive oil about five minutes until the onions are tender, then add the garlic. In the same saucepan, add ground chicken (or turkey) and stir everything together until the meat is browned. Next add 14 oz. can of tomato sauce to the same saucepan, and stir. Add dry seasonings and 1 cup of cauliflower rice. Parboil (or microwave) the pepper shells in a pan/bowl with a little water for three to four minutes – just until slightly softened. Then in a Pyrex or similar baking dish, spread a little of the sauce across the bottom and set the pepper shells inside. Taste your stuffing mixture in the saucepan one last time and add any additional salt, pepper and/or chili powder, if needed. Spoon stuffing mixture into peppers. Top stuffed pepper bell with mozzarella cheese. Bake about 30-40 minutes at 350º F uncovered to heat through (oven times and temperatures may vary). Remove from dish, serve hot, and enjoy!